Credit: Image: David Fierstein and Arild Hareide. As a first step in their search for clues, NTNU researchers had assembled an interdisciplinary team of geologists, biologists, mathematicians, computer scientists and engineers, like Fossum, whose two metre-long autonomous underwater vehicle (AUV) would contribute to one of the most unusual pieces of information on the Gunnerus’s week-long survey. 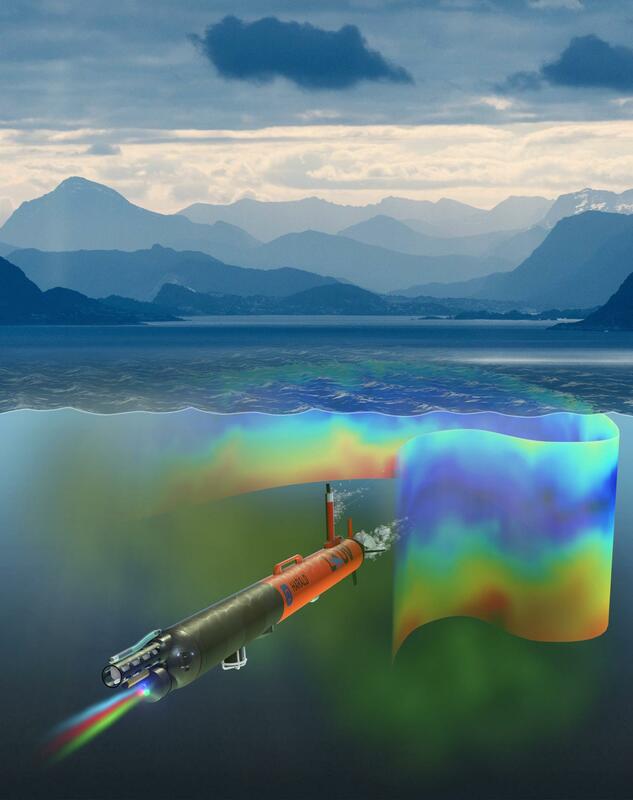 Fossum’s AUV, named after the Norwegian oceanographer Harald Sverdrup, would collect information that allowed scientists to make a 3-D map of hot spots of phytoplankton. These are the tiny single-celled algal cells at the base of the food chain. Their microscopic size and tendency to collect in patches have made this information nearly impossible for biologists to gather in the past. The AUV was programmed to think on the go — “seeing” where the phytoplankton were, choosing its own course to zoom in on patches in an area to get a better sample. Scientists call this “adaptive sampling.” The 3-D maps, in turn, could provide important clues as to why bird populations around Runde were plummeting. Having a smart AUV that can be programmed to seek out phytoplankton patches “is a complete game-changer,” says Geir Johnsen, an NTNU biologist is collaborating on the project. The results from Harald’s tour in the waters off Runde were recently reported in Science Robotics. Biologists describe this situation as, well, “patchiness,” Fossum said. The patchiness of phytoplankton is related to a number of different biophysical interactions, such as currents, turbulence and mixing, and biological processes, like how many other creatures are eating the phytoplankton. “That means it’s a very hard question to figure out what controls the patchiness of these organisms in the ocean,” Fossum said. Even if you are in a place that’s known to be a hot spot, patchiness can make it difficult to accurately quantify marine organisms in the area, especially if you are taking samples from a research boat, says Glaucia Fragoso, a postdoc at NTNU’s Department of Biology who was on the cruise with Fossum. That’s what makes the adaptive sampling of Harald, the AUV, so unique, Fragoso said. Given an area to explore, it can make a 3-D map of phytoplankton patches. And knowing where patches are allows scientists to study other characteristics of that area so they better understand why the patches are where they are. Harald was programmed with a sophisticated brain and equipped with a special measuring device called an ECOpuck nestled in its backside. When Fossum released it into the water that June day, Harald would roam the ocean’s depths in an area bounded by a 700×700 metre box, collecting information to make a 3-D map of phytoplankton. The ECOpuck doesn’t actually measure phytoplankton itself, but something called chlorophyll a fluorescence. Phytoplankton use chlorophyll a pigments in the process of photosynthesis, and the substance fluoresces red when exposed to light. The ECOpuck detects the fluorescence, which can indicate how much phytoplankton biomass is found in the water. At the start of the AUV’s journey, it takes measurements on the sides of the box and then gradually zooms into the area outlined by the box as it detects the region that seems to have the most chlorophyll a, Fossum says. In spite of the success of the AUV, Fossum and others explain that biologists still need to gather information from other sources — like research cruises aboard the R/V Gunnerus. Fossum says there’s a need for much more persistent monitoring of Norway’s coasts, marine protected areas, and fragile habitats. “The goal is to eventually automate much more of this work, but we are not aiming to replace ships, they are still vital in this endeavour,” he said.